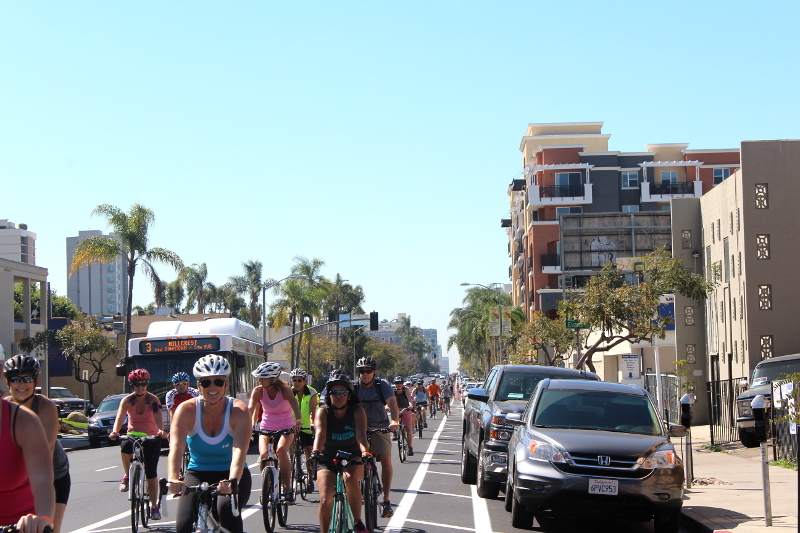 Back in 2012, the city of San Diego was resistant to almost any progressive bike infrastructure. 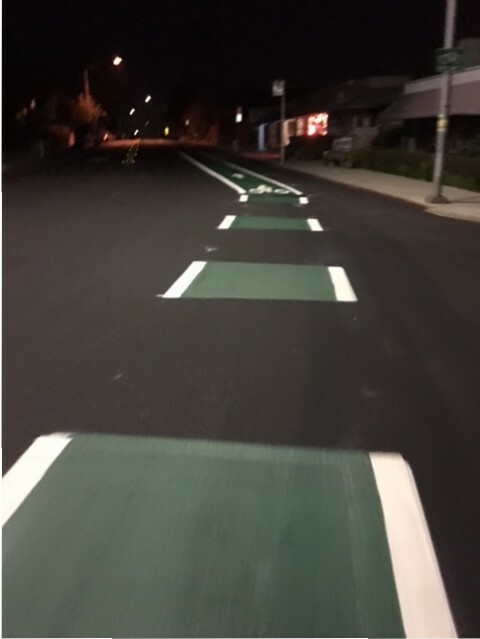 While the goal of BikeSD is to make San Diego a world-class city for bicycling by advocating for safer streets for everyone—via the implementation of protected bike lanes on main arterials alongside plenty of traffic calming—getting to this bicycling nirvana is clearly not a straight shot. For one, who could have predicted how annoying the mysterious parking lobby* would become? Or even the fact that a statewide environmental law would create a hurdle for putting down some paint. In 2012, effective bike advocacy was still in its nascent stages. But a group of us wanted to be bold. 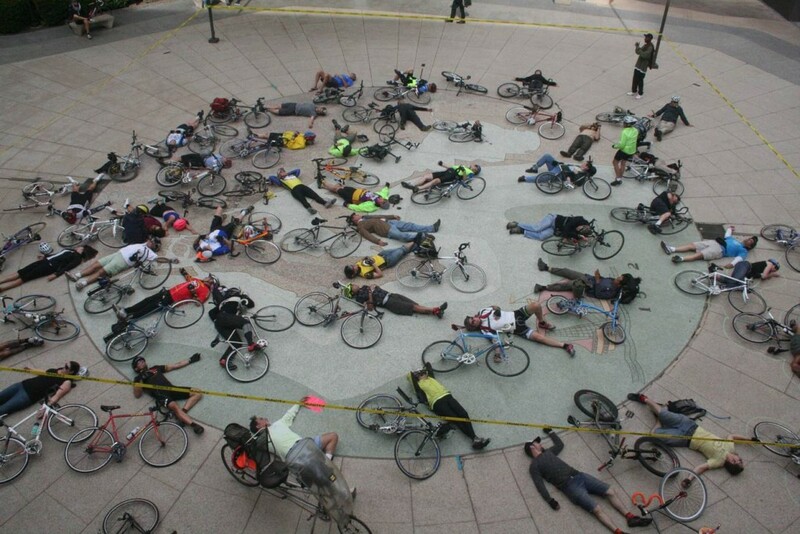 One of the demands leading up to the die-in, held in April of 2012, was for the city of San Diego to become a member city of NACTO, the National Association of City Transportation Officials. "We are calling on the city to immediately adopt guidelines developed by the National Association of City Transportation Officials (NACTO). These progressive bicycle infrastructure designs strongly contribute to both perceived and actual safety for the cyclists using them." Miracle of miracles, the city of San Diego actually became a member city of NACTO. And since then, the city has done plenty more, implementing road diets through out the city, and even striping across intersections. 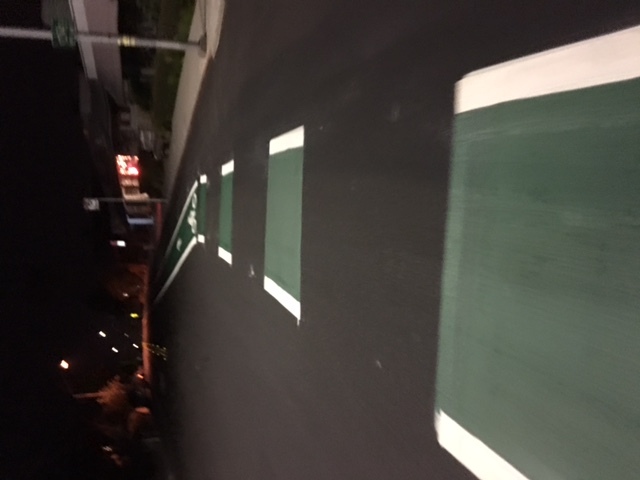 Yes, green paint on asphalt is very exciting to some of us: it's a little space for bicycle riders to travel safely without worrying about a honking driver too impatient to figure out how to safely pass or co-exist peacefully in a public space. There is still lots to be done, more hard hearts to melt, more parking fanatics to hug it out with (or drink a beer with). But it's certainly nice to see some progress in this city. It's just shameful that it had to come at the cost of actual lives lost—lives that could have easily been saved. Striped intersection across Voltaire in Ocean Beach. Photo: Nicole Burgess. *Yes, I am absolutely being facetious in highlighting a non-existent lobby group, the parking lobby. But I never fail to marvel at the fact that nothing motivates otherwise sane San Diegans to turn into frothing rabid angry individuals than the idea that our largest public asset, our streets, ought to benefit all road users instead of a single group: drivers. Did Wilson have a change of heart and decide to focus his ire on more worthier offences than stripes of paint on the road? Is he more focused on his contra-flow bike lane proposal? Has he realized that advocating for parking is not a good use of his time? I haven't had the time to ask or figure it out, but I am happy to celebrate good news when I see it. So yay. El Niño may have delayed the start of the construction of the I-15 bike path, but tomorrow the (very, very, very) long awaited, and almost forgotten promise to connect the Mid-City communities to Mission Valley will finally begin. Hope to see you there. Next City's Josh Cohen wrote a piece covering what the Downtown Mobility Plan does and doesn't do. Long time BikeSD supporters will know that I'm usually not easily impressed with the half measures usually put out in this city. But I am impressed with the Draft Downtown Mobility Plan. promotes evaluation of removing the Cedar Street off-ramp, and switching Cedar Street from one-way to two-way traffic to improve pedestrian safety and re-establish the historic connection between Balboa Park, Cortez, Little Italy, and the waterfront. Converting city streets from dumping grounds for high speed vehicles exiting off the freeway into a calm, civilized city streets that connects San Diego's beautiful neighborhoods? Now that's exciting. Yet the plan could do more. It could ensure that downtown's main streets: Broadway and Market Streets, are made truly multi-modal and incorporate facilities that promote, highlight and encourage bicycling. While the discussion around parking is sure to again dominate the discussion around a mobility plan that facilitates walking and bicycling, I hope that it doesn't detract city officials from committing to adopt and implement a plan that showcases what San Diego is capable of. The attraction to try and speak broadly of 'safe streets' and 'strong communities' is strong. It's easy to be pulled in that direction because our desire for them leads the rhetoric to flow a little easier. But it's just as important to describe the nuts and bolts of how we'll get there. I want to share a few of the tangible ways your contributions will make an impact. The average cost of car ownership in California is nearly $9,000. For many, it's a major financial burden. Along with housing prices, personal transportation is a major contributor to SoCal's high cost of living. 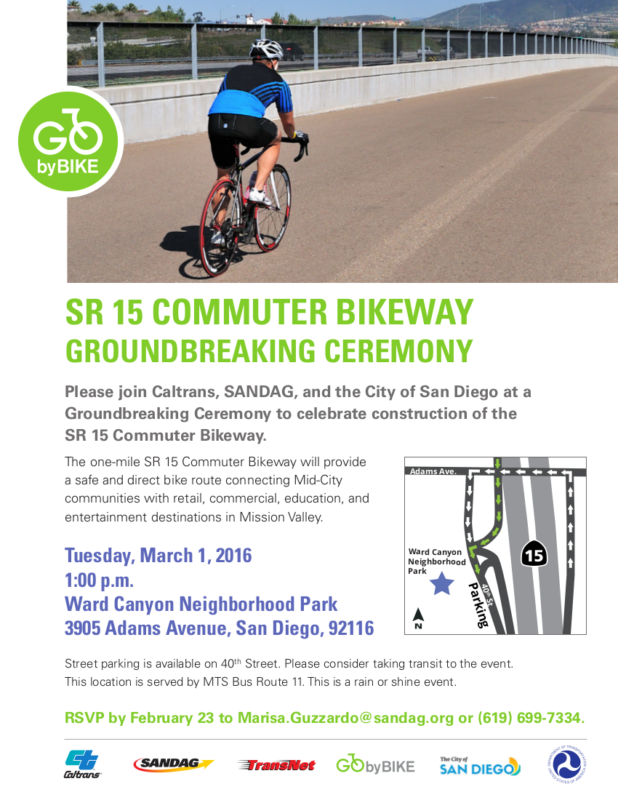 So this year BikeSD intends to launch a bicycle placement program. We'll partner with a women's advocacy organization to identify those who need—and can safely switch to—an alternative to car ownership and provide them with a completely refurbished bicycle that they can be proud of. We think we can get it done for about $100 a bike—and our goal is to give 100 bikes this year. Last year's Bike Clinic at the Central Library in Downtown was a huge success. We provided bicycle maintenance to over 100 people of all ages and circumstances, while creating an atmosphere of community inclusion. People rode away with patched tires, new chains, aligned wheels and working brakes. In short, their bikes were made safe to ride. Each bike clinic costs about $600—and we'd like to expand to host two a month, reaching different neighborhoods each time. Gender and economic equity are two issues the organization feels so strongly about that we included them in our Guiding Principles. We've heard your calls to make progress toward transportation justice, and these two programs are just two of the ways we intend to do just that. In addition to programs we'd like to launch or expand, our advocacy continues. Because of our advocacy, this is the year we're going to finish off Level of Service - the archaic traffic-flow metric used to kill the "Transform Hillcrest" plan for University Avenue. And we're going to make sure candidates for the next City Council, as well as County staff, revisit that plan once LoS is retired. We're also going to push for a reform to the "85th Percentile" rule of traffic speeds, so roads connecting neighborhoods can be made slower as the community desires. The Executive Director position is a full-time job—one that Samantha Ollinger has succeeded in with an incredible desire and personal sacrifice. To be clear, the job is not just attending meetings and making public comment. It is no exaggeration to say that she has transformed the conversation surrounding bicycles in the City of San Diego—and she has done so by becoming a researcher, an analyst, a community organizer and a dogged-pursuer of decision makers. 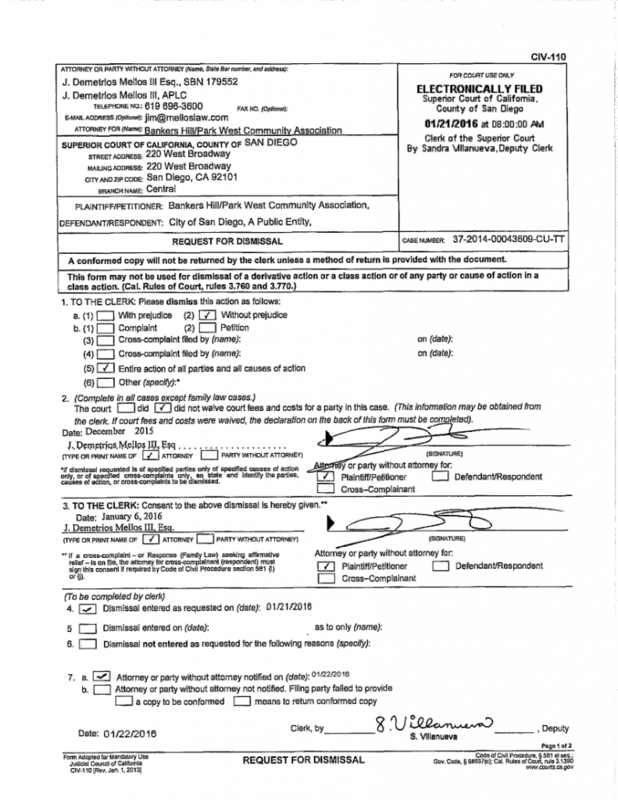 BikeSD is a nonprofit, but it's not a hobby club. The work is serious. Staff is necessary and a real cost. And we need to have Sam's back. So it's simple—the level of donor support we receive through the rest of this month will determine whether the organization thrives in advancing our shared goals, merely exists as an online agitator, or draws to a close. Thousands of you will see this title. Not only will you see it, you've 'opted in'—by liking us on Facebook, following us on Twitter, or signing up for advocacy update emails. Are you ready to make your impact?